How are you today? I’m feeling great if you ask me and I’ve been wanting to write about this game since it was released last year. 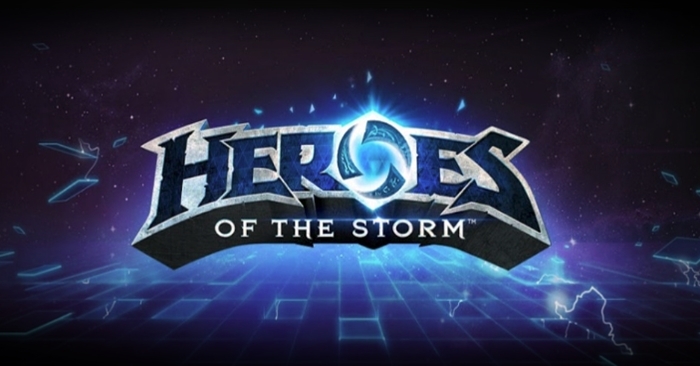 The game that we’re about to tackle is called Heroes of the Storm. If you are fond of playing DOTA 1 & 2, Heroes of Newerth, League of Legends and any other multiplayer online battle arena (MOBA) game, Heroes of the Storm is part of this category. The game was published and developed by Blizzard Entertainment, you’ve probably heard about this team, they are the makers of Diablo, Warcraft, StarCraft, The Lost Vikings and their latest addition is Overwatch. Blizzard does not consider HotS as a multiplayer online battle arena, they figured a different kind of play style for this game since it has an extensive feature; they tagged this kind of game as “hero brawler”. To support Blizzard’s “hero brawler” statement, the game’s objective is to compete or defeat the opposing team’s Nexus, similar to most MOBA games; you need to push and sabotage the territory of your enemy to win the game. But HotS offers a variety of gameplay, in every map corresponds a “goal” to accomplish in helping you push or destroy the enemy’s base. There are currently 12 battlegrounds with different objectives to aid you in winning the game. There are also camps in each map that you can slay and recruit these “neutral creeps” in pushing a lane. The heroes are from Blizzard’s games, these heroes are categorized with different roles: Assassin, Warrior, Support and Specialist. Heroes are purchaseable in the shop using coins acquired in the game. Don’t worry cause you’ll be given a free hero rotation periodically. There will be a free hero rotation every week, you are asked to choose a hero and click on Ready for matchmaking. the battleground or map will be shown after you are teamed with other players. Once you are in the loading screen, you’ll see everyone’s names and the heroes they’ve selected (including your enemies). And the battleground will be displayed showing the objective of that map. There will be watchtowers you can acquire that acts as a vision-area to see any incoming enemies and avoid being ganked. In each lane is a fountain you can drink when you’re low on hp and mp, there are also regeneration globes that drop from creeps and from camps. Once the game has started, everybody starts with level one, each hero can use 4 basic abilities and 1 trait at the beginning of the game. There are no items you can buy from a shop to equip to your hero. Gaining experience and leveling up is shared by the entire team, everybody in the team can upgrade their talents to “enhance” their basic abilities. And some heroes have talents to upgrade that are passive which boosts their ability power, attack speed, gain life-steal and etc. Upgrading the talents are possible on levels 1, 4, 7, 10, 13, 16, and 20. Once you reach level 10 and 20, you can choose a heroic ability which is also known as the “ultimate skill”. Similar to most MOBA games… but there are a few additional keys we can use like V to alert teammates to back off, Z for mounting, B for teleporting back to your base. Additionally, you can make your hero dance by typing (/dance) also provoke with (/taunt), keep in mind that your hero will be VERY vulnerable when you perform these actions, it can be cancelled by moving. Holding ALT + left click gives a panel for notification. TAB to view stats and other info. Honestly, I’ve been playing more HotS than DOTA 2… I’m not being biased, there are just many different maps I can play with and it offers a certain “gameplay” or objective which is really challenging. And teamwork is essential in winning this game because nobody is left-out, you level up as a team. I apologize for having a low-quality video, I hope you can bear with it, the game was almost 20 minutes, the file size is a huge 3GB and uploading it on YouTube takes almost a day. Such a bummer, I hope I have better internet connection. Anyway! The map is CURSED HOLLOW, each team will compete to collect a tribute. Collecting 3 tributes will curse your enemy’s base. Watch the video, I picked Ilidan (Assassin) from Warcraft. Thank you for your comment. I hope it is a good blogpost. Watch out for more!